Weekly Happenings: I’m getting a head-start on the blog today. This is the first day of us meeting in our new church building and we’re switching from 11:00 to 1:00 services. I figured if I waited until after we got home from church and had dinner (since those two will happen almost back-to-back), I just might be too tired to do it, so I’m pounding it out now. 🙂 This past week was pretty fun (especially for Joseph). He had a few play dates, which were fun as usual, but the big fun thing was the last session for his story time at the library. Since they’ve been focusing on a different letter of the alphabet, it was inevitable that they would eventually reach “Z”. 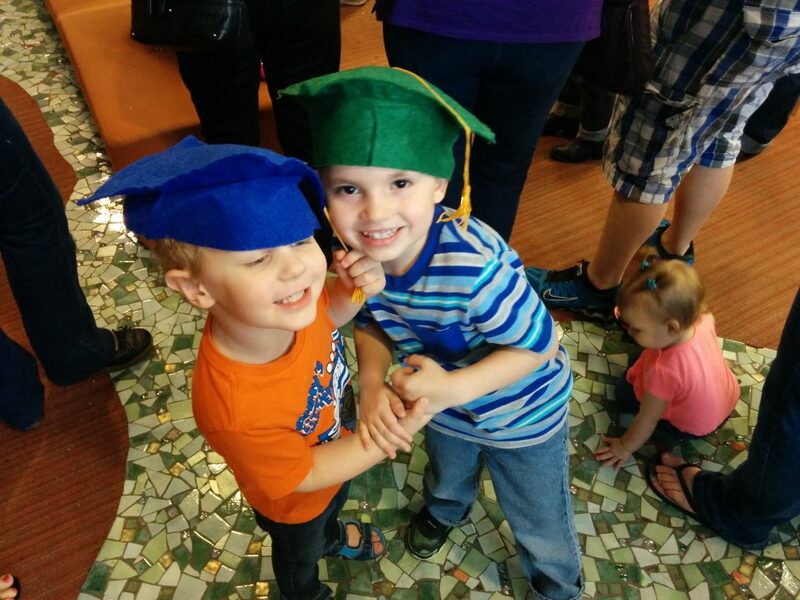 After they did so, they had a “graduation” party, which consisted of reading a couple of stories, parading around the library wearing “graduation”caps, receiving a completion certificate, eating snacks, and making a “Chicka Chicka Boom Boom” (an alphabet-themed story that is popular with this age of children) hat. 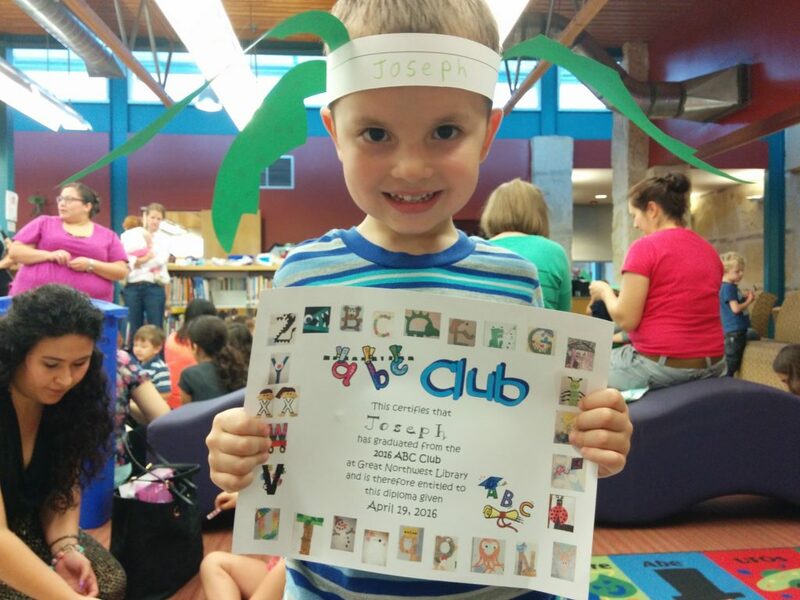 Joseph had a blast! Oh, and he also got to attend a birthday party for one of his friends at Chuck E. Cheese, which he enjoyed immensely. I was relieved that it wasn’t super-crowded and crazy, hahaha. The big thing for Paul and me this past week was deciding to replace one of our TVs that was on its way out (about a month ago, the picture started getting “wobbly” on one side and was slowly spreading to the rest of the TV). Since the Roku Box (streaming device) we had attached to that TV was also acting up (freezing and restarting itself), Paul decided it would be most cost efficient (and admittedly rather cool) to purchase a Roku TV (a TV with the Roku Box essentially integrated into it). It’s been working great! The Weekly Weather: It’s been quite a bit less…eventful than the previous week, for which I am grateful. I think I’d be fine if we just had the one crazy hail storm this year and no additional ones. 😉 We did have a few good-sized thunderstorms (one of which came rolling in rather early in the morning, causing Joseph to wake up scared and wanting to snuggle in bed with us while it passed) that dumped quite a bit of rain on us, but no damage from it, thankfully. What Paul’s Been Up To: He’s started back with a new semester for school, so he’s added homework back into his daily regimen (along with work, Scouts, and taking care of the house and yards). He’s also working on finalizing the details of his trip to DC which will happen mid-May. What Sarah’s Been Up To: I’ve been just plugging away, teaching piano, keeping Joseph entertained, and making sure he gets his antibiotics (from his bout with strep) and probiotics (to combat the effects of the antibiotics). I did get to go to a book club meeting (which was fun, as always) and a movie night at a friend’s house (again, a lot of fun). 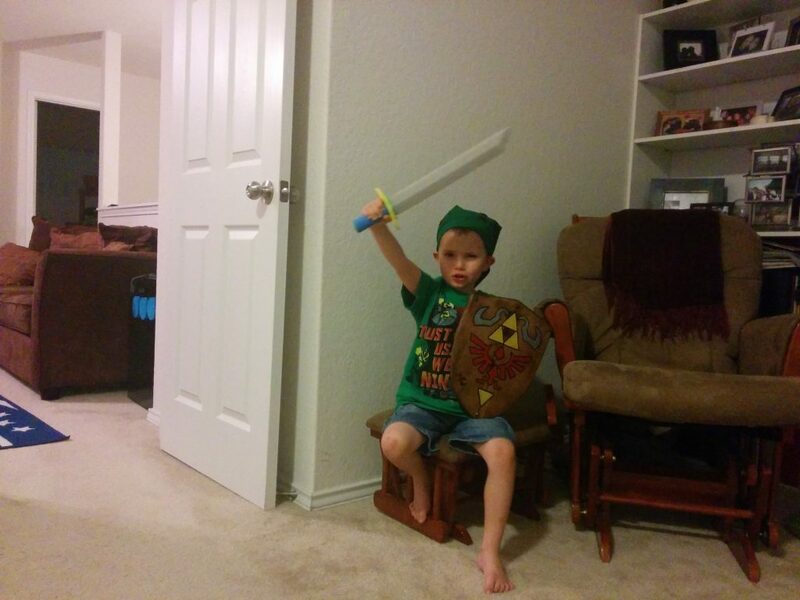 Pretending to be Link from Legend of Zelda. 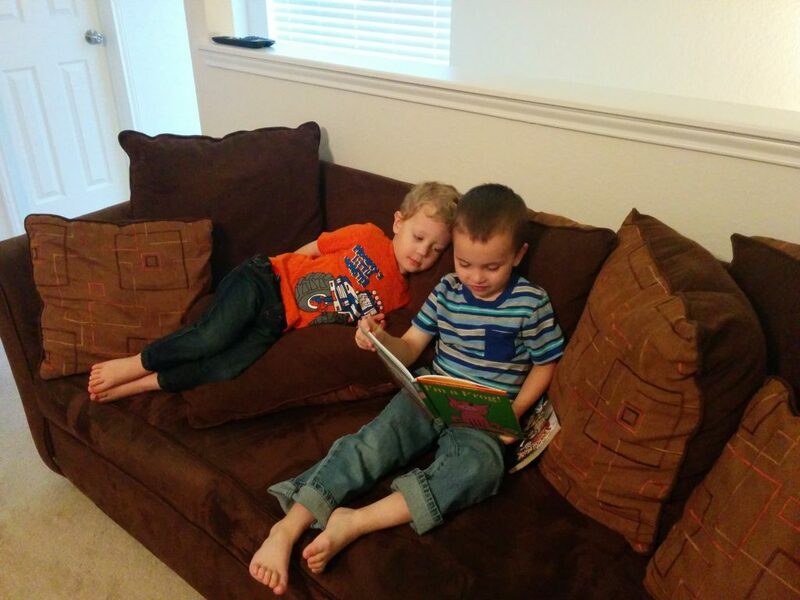 Reading to one of his best buddies. 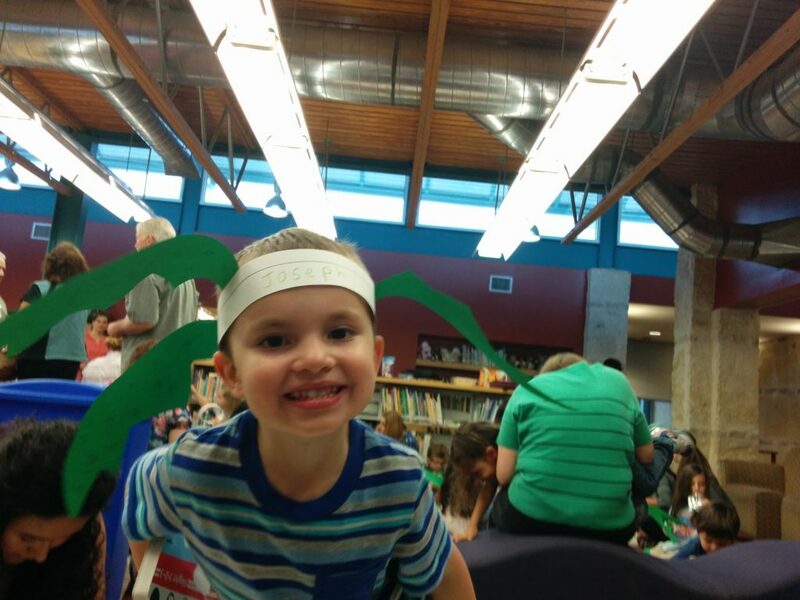 Getting ready to parade around the library. Wearing his “Chicka Chicka Boom Boom” hat. Showing off his completion certificate. 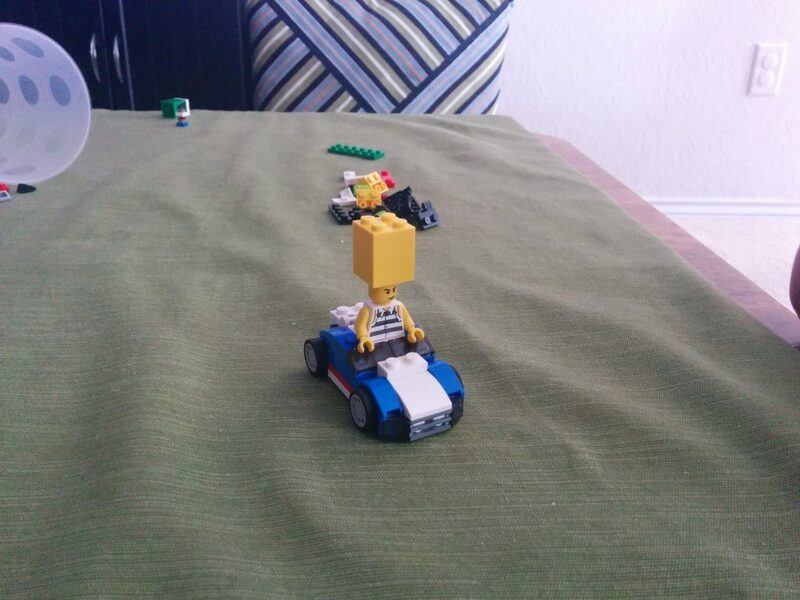 Joseph found his LEGO car and decided that he’d make his LEGO guy into Toad from Mario Kart. Paul took this picture. 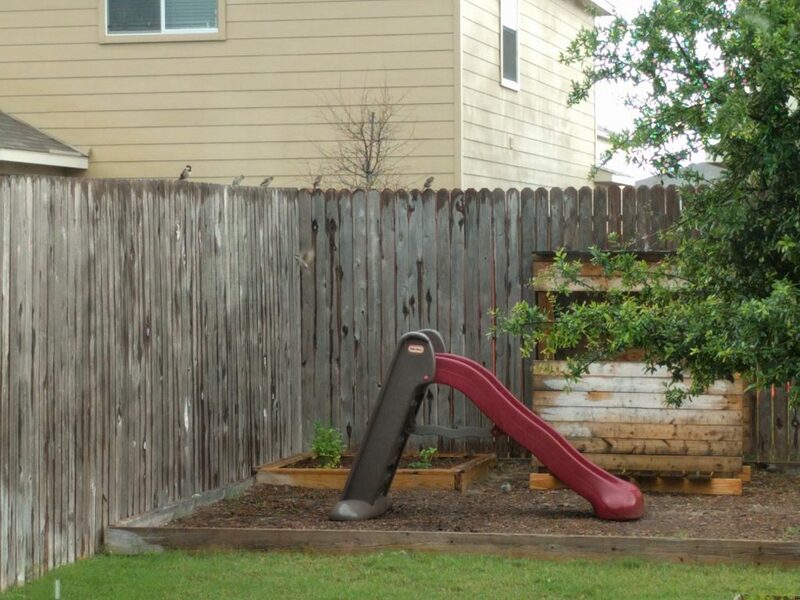 With three bird feeders (four, if you count the hummingbird feeder, even though none of these birds are hummingbirds) in our yard, this is what it looks like almost every day. 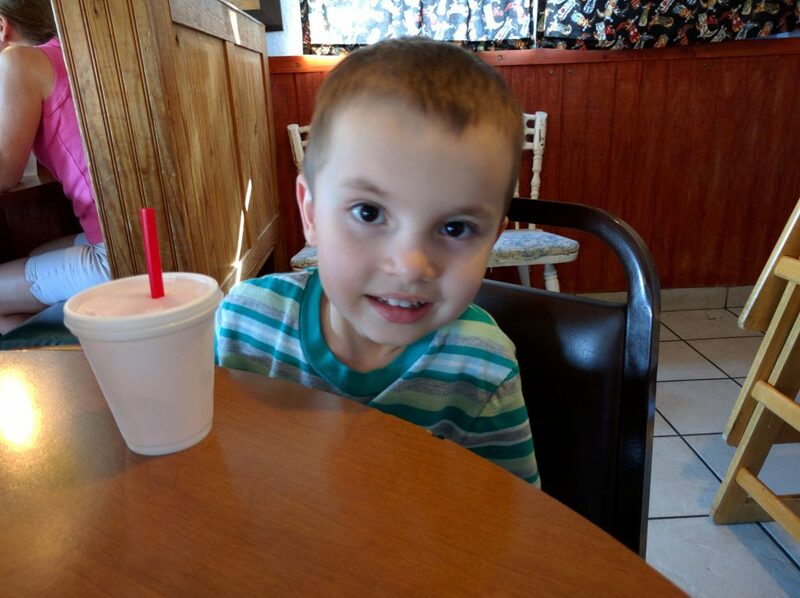 Waiting for food at Bobby J’s (one of our favorite burger places). 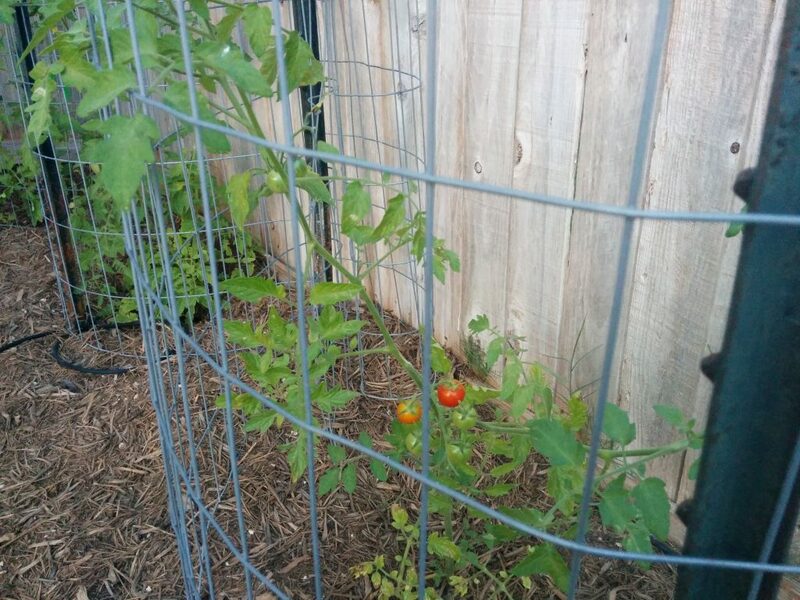 Our cherry tomatoes are working on getting ripe! 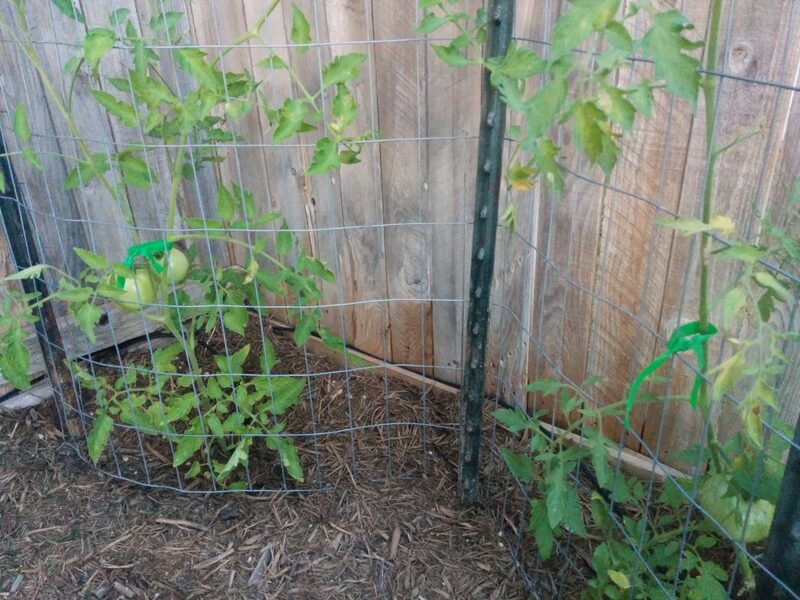 We’ve got some good-sized tomatoes on the other two plants as well. I’m so grateful the hail didn’t hurt them! 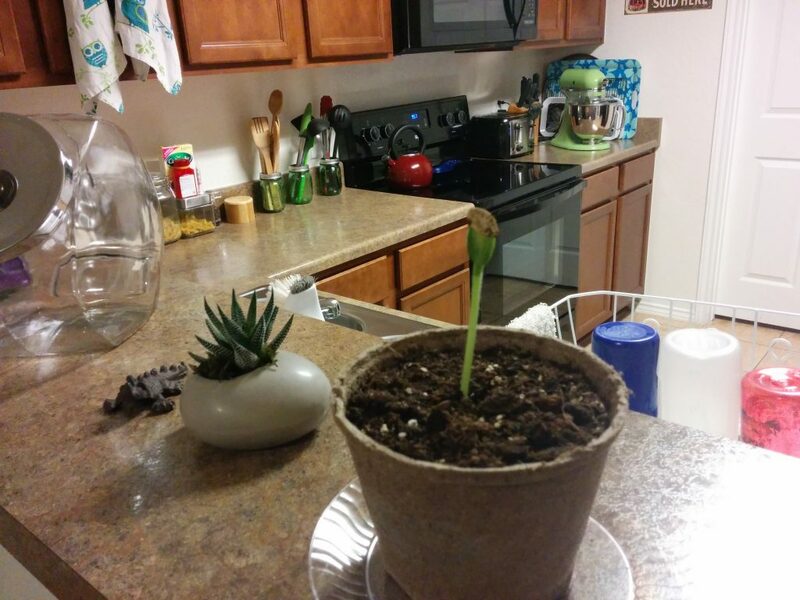 Finally, our pumpkin plant sprouted! We’ll plant it outside once it gets a bit bigger (Paul put it in one of those pots that can just be planted in the ground). I love that the seed is still attached to the seedling. It reminds me that small things often have huge potential. 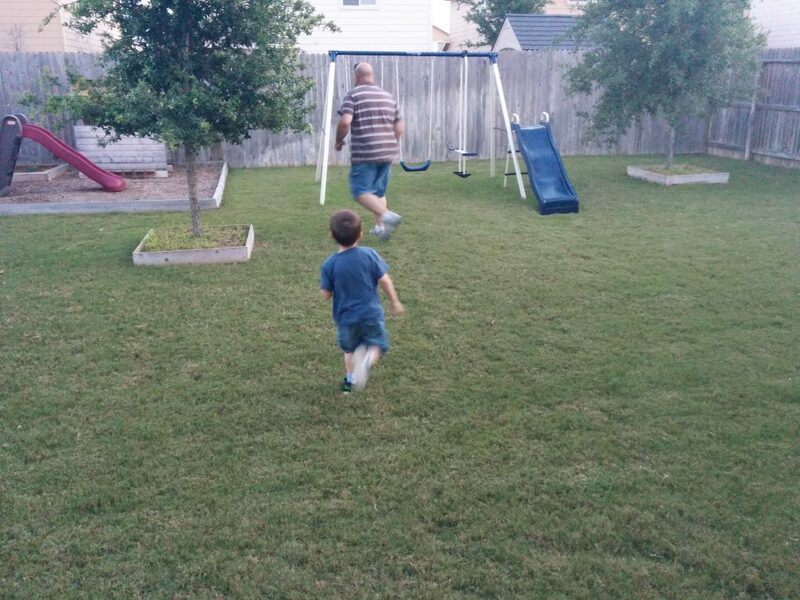 Playing tag with Daddy. 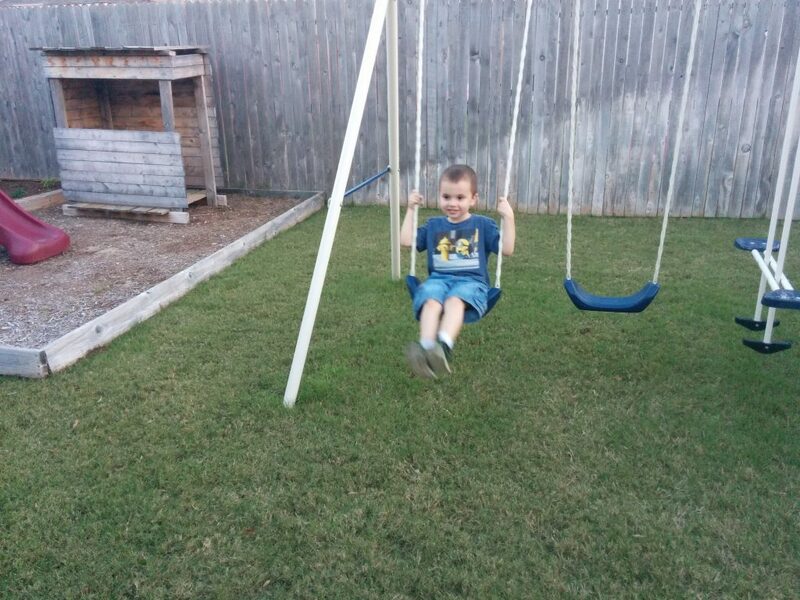 I’m so grateful for all the hard work Paul has done to make this a fun back yard. I do my small part (weeding and watering the gardens), but he definitely has the brunt of the yard work (not to mention the fact that Joseph is now firmly convinced that Daddy can build ANYTHING…like his little fort there in the back that he still loves to play in even though Paul built it probably a year or longer ago).